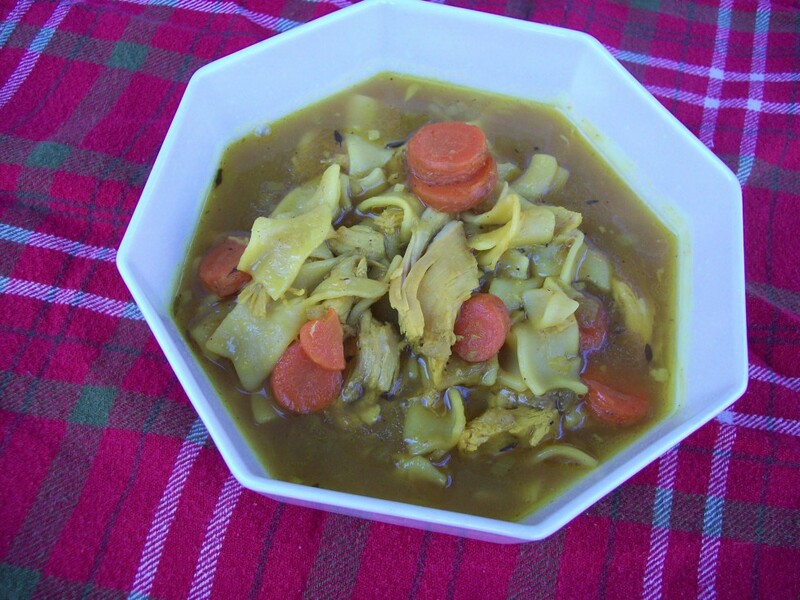 This recipe is an all-time favorite for my son L., who once ordered a similar-looking version at a cafe and said, “Mom…this soup is okay, but it’s really just not yours.” Don’t be tempted to leave out the turmeric. The soup is just not nearly the same without it. 6 cups chicken stock, preferably homemade and the richer, the better! In a large pot over medium heat, melt the butter and olive oil together. Add the onion, garlic and celery and cook, stirring occasionally, until softened and translucent (about 7-10 minutes). Add the salt, pepper and turmeric. Cook for 2 minutes, stirring. Add the chicken stock, bay leaf, and fresh thyme stems. Cover and allow the soup to come to a boil. Reduce the heat to low and simmer for 30 minutes. Add the carrots and simmer for about 15 minutes, until the carrots are tender. Add the chicken and noodles. Allow the soup to simmer for a few additional minutes to warm everything through. Taste and adjust seasonings as necessary — this will vary with the seasoning level of your stock. Remove the thyme stems and bay leaf before serving.